Robert Kiyosaki, the author of the famous financial self-help book Rich Dad, Poor Dad, has described the US dollar as a scam, declaring that bitcoin and other cryptocurrencies are “currencies of the people” that will outlive fiat currency. Speaking with Kim Hughes on the Sane Crypto Podcast in which he excoriated the dollar, Kiyosaki also predicted an imminent stock market crash. Discussing his new book, Fake: Fake Money, Fake Teachers, Fake Assets, Kiyosaki revealed that he wrote about how gold, bitcoin, and other cryptocurrencies are a better hedge against an impending collapse of the financial market. Going further, he expressed a series of typically controversial financial opinions including a description of fiat currency savers as “losers” and calling for a return of the gold standard to the dollar following its 1971 removal by President Richard Nixon. 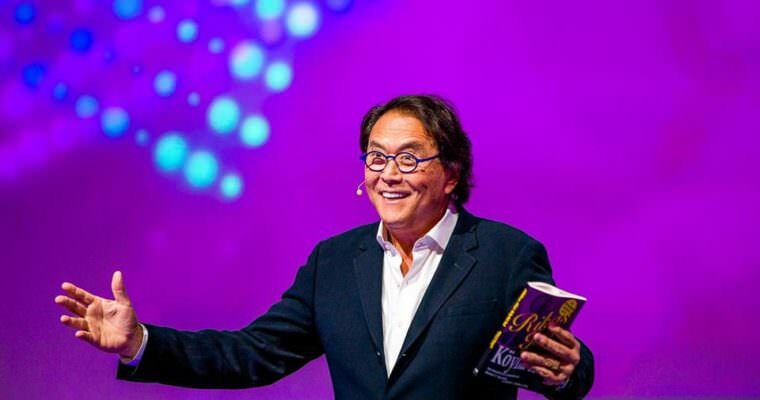 Kiyosaki is no stranger to such opinions, having previously stated in an interview that another crash that will be “the biggest of all” is on its way following the crashes of 2000 and 2008. Bill Gates and former Goldman Sachs manager Nomi Prins have also predicted a financial market crash, though they have not publicly expressed a preference for bitcoin or cryptos. Gates in particular has been bearish on bitcoin in recent interviews. In April, when asked if the U.S. will have another financial crisis like that of 2008, Gates responded in the affirmative, describing it as a “certainty” despite being difficult to time.